Module 13 is the core curricula for EASA B2 and any other high quality avionics program. 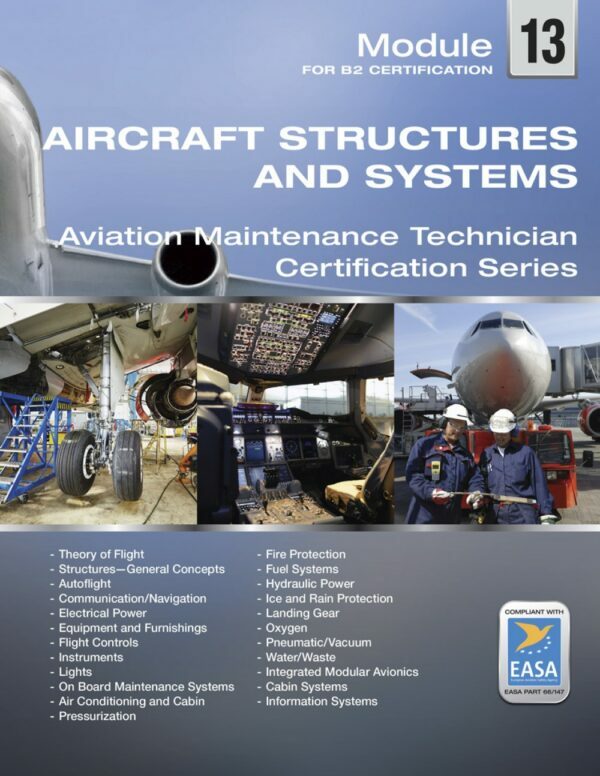 All previous modules may be considered the background information needed to understand the operation and maintenance requirements of the actual components and systems discussed here. 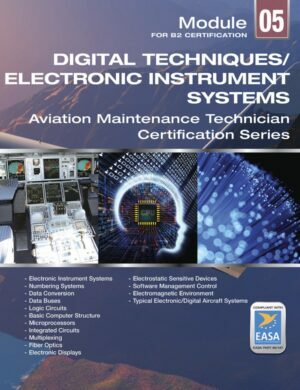 You will immediately notice that this book does not limit itself to just the electronics, communications, and navigation systems that are typically thought of as the extent of an avionics program. 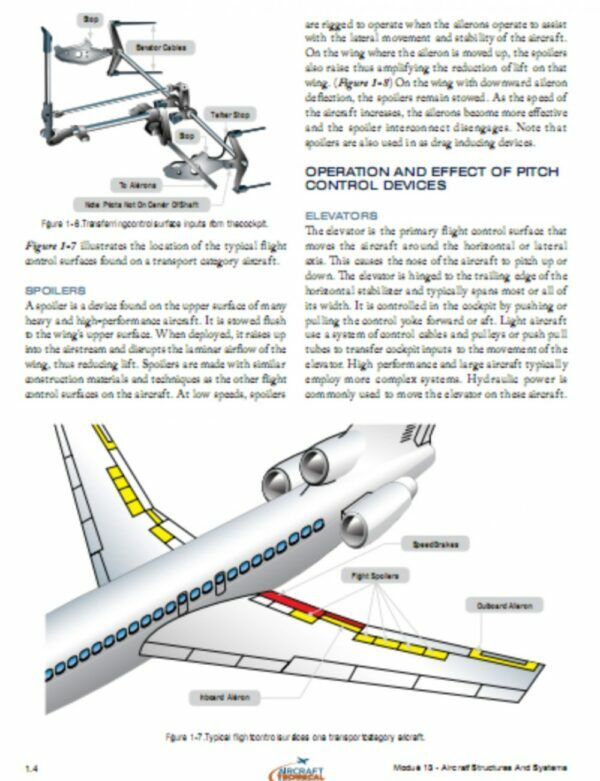 You may ask why an avionics engineer needs to know about hydraulic actuators or landing gear construction. 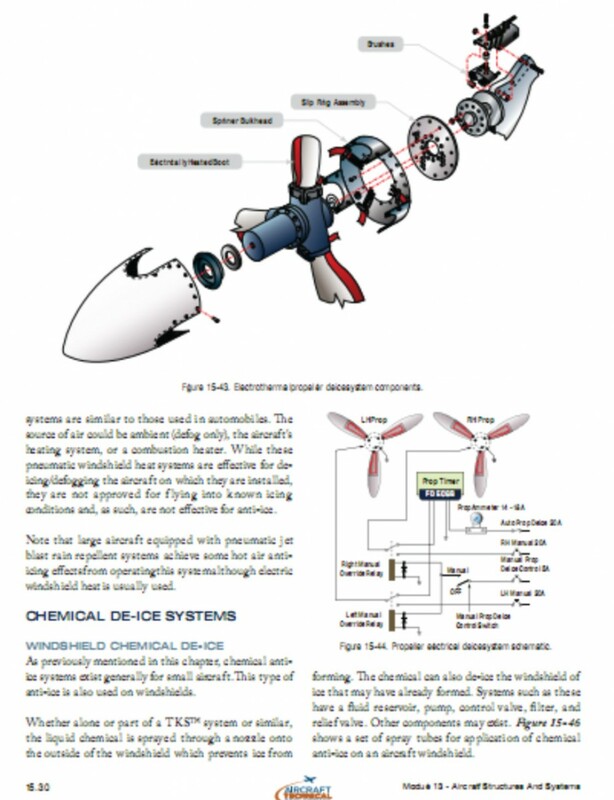 The answer is that in today’s aircraft, every system is connected to every other and nearly every system has some sort of electronic interface. 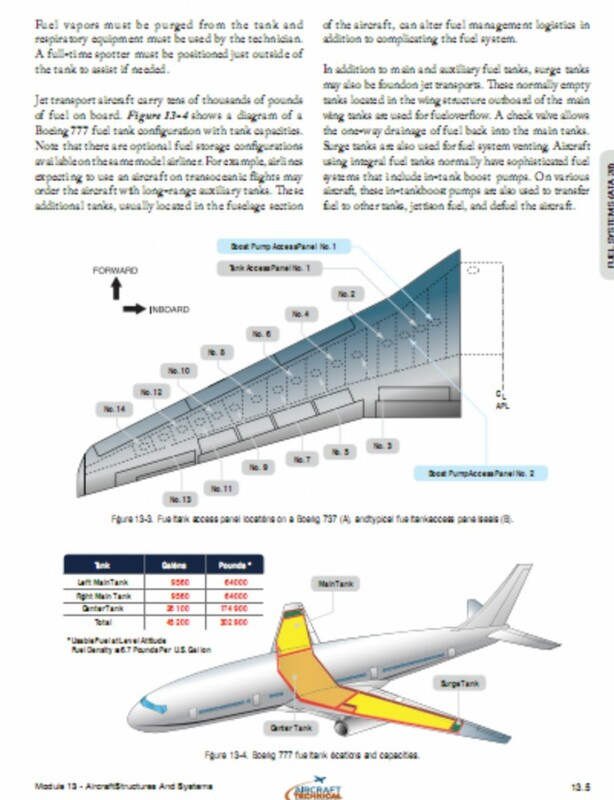 Today, even landing gear are computerized, as is the simple refueling of aircraft on the ground. Thus if you are to consider and diagnose the electronic functions of gear retraction, you need to know the basic physical operation of the gear itself. That knowledge begins in this module. It is then expanded by maintenance data provided by the aeroplane manufacturer and the approvals of the various civil aviation competent authorities. 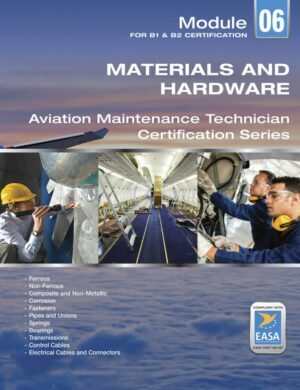 This book is completely aligned to EASA Part 66 Appendix A and written to the extent typically taught during a 2400 hour program at an approved EASA Part 147 school. 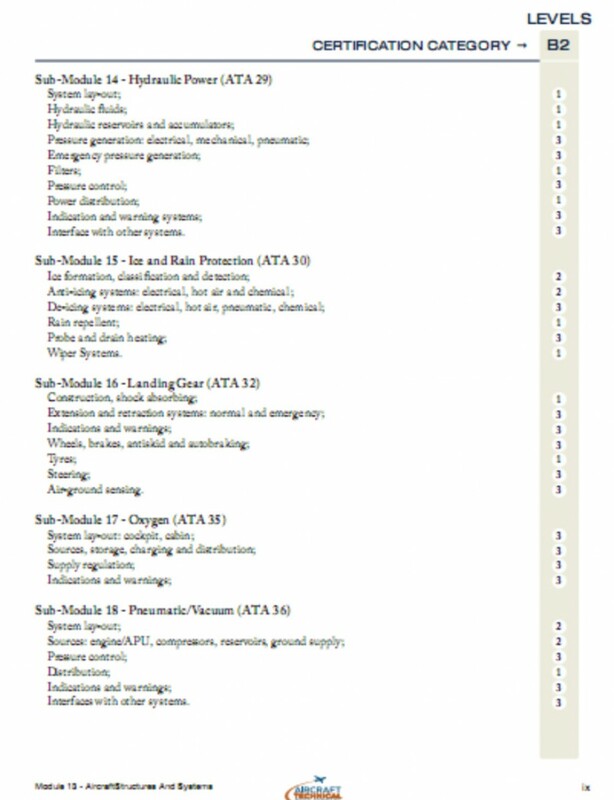 air supply; air conditioning; pressurization; cabin pressure controllers; safety and warning devices. fire and smoke detection and warning systems; fire extinguishing systems; system tests; portable fire extinguishers. ice formation, classification and detection; anti-icing systems – electrical, hot air, and chemical; de-icing systems,- electrical, hot air, pneumatic, chemical; rain repellent; probe and drain heating; wiper systems. system layout; sources – engine/APU, compressors, reservoirs, ground supply; pressure control; distribution; indications and warning; interface with other systems. system layout, supply, distribution, servicing and draining; toilet system layout, flushing and servicing. 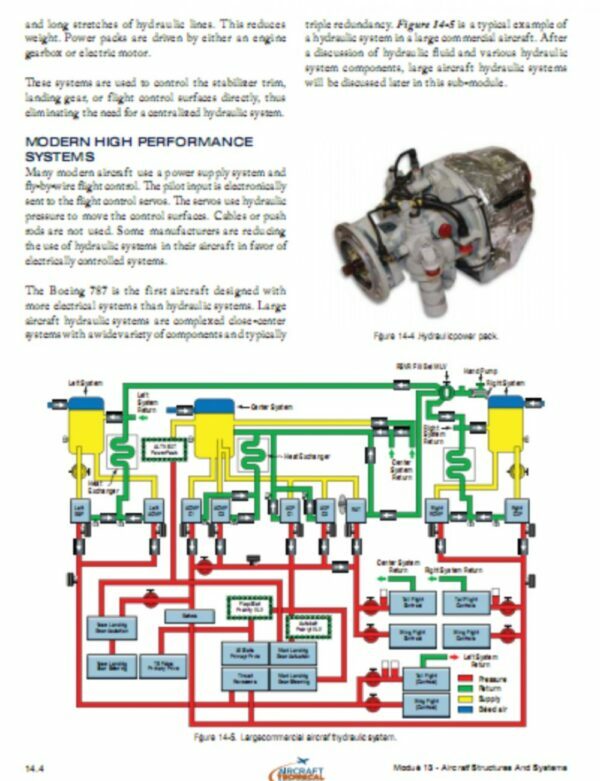 integrated modular avionic (IMA) modules including bleed management, air pressure control, ventilation control, avionics and cockpit ventilation, temperature control, air traffic communications, avionics communication router, electrical load management, circuit breaker monitoring, electrical system BITE, fuel management, braking control, steering control, oleo pressure, gear retraction, etc; tire pressure indication, brake temperature monitoring, core system network components. intercommunication data system, cabin network system, cabin core systems; in-flight entertainment; external communications; cabin mass memory system; cabin monitoring systems; miscellaneous cabin systems.